Yes, the question needed clarification. This suggested edit attempted to provide clarification. Yes it made a calculated presumption. But that presumption was by far the most likely intent of the OP. What else could they have possibly meant? A generic spiral is called a "spiral". The OP demonstrated they already know the word "spiral." After all, they used the word "spiral" in the question! This question illustrates perfectly the problem with putting answers in comments, even if they are intended to ask for clarification. My guess is that once the OP saw flolilolilo's comment with a link to the Wikipedia entry for Fibonacci Spiral, the OP followed the link, found the answer he was looking for, never to return to SE to clarify the question. Why we insist on linking to external sources when we have good information on the topic in existing questions within the site here is beyond me. 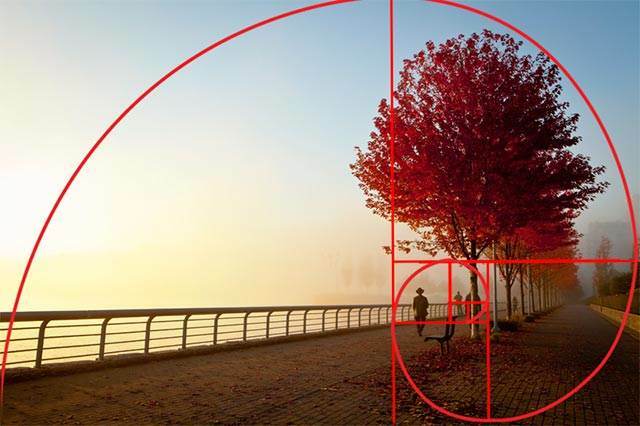 If flolilolilo had done a simple search for "Fibonacci" within Photo.SE instead of at Wikipedia, the OP would have been able to follow a link that kept them engaged within our site instead of being sent to Wikipedia. We closed a question as Unclear what you're asking when it could have just as legitimately been closed as a duplicate which would serve to point others who might find this question via stack exchange's very good SEO and actually be pointed in the direction of the information they are seeking within the Photography.SE ecosystem. We downvoted a question for not being clear, we rejected an edit that clarified it with the highly probable intention of the OP, then we closed the question for being unclear, yet at the same time we upvote (without dissent) an answer that guesses the exact same thing as the rejected edit! Due to the way suggested edits by low rep users are handled by the system, only two users with relatively low reps can kill a suggested edit. Considering this is a global community with users who access the site at various times throughout a 24 hour period, there needs to be a mechanism where an edit request is easily accessible without needing a direct link address for longer than it takes between the suggested edit and the 2 (two) votes required to reject the edit. Even a very high rep user can not now tell from looking at the question that an edit had ever been attempted. Since the contents of an edit request are not visible in the body of a question until approved, perhaps rejecting edits should require more than two votes? Or perhaps even better, would we find an option when voting on things in the review que to 'ask me again in 24 hours' to be helpful? My main issue with summarily rejecting the edit because we aren't 100% certain beyond any conceivable shadow of a doubt that it matches the intent of the OP is that the question is essentially totally useless without it. By rejecting an edit that many of us may have felt was useful and helpful, only two users were able to decide the fate of the question before the rest of us had an opportunity to weigh in on the suggested edit. Then the question was ultimately closed for being unclear. Yet an edit that clarified the overwhelmingly probable meaning of the question was allowed to be derailed by only two users. How can we act in a more proactive way to encourage improving and saving imperfect questions rather than seemingly wanting to find any excuse possible to close as many as we can? How can we find a way to use closed questions to point the OP (and others who find the question with a desire to learn the same thing) to relevant information contained in other questions/answers here instead of closing them in a way that provides the OP and anyone else who may have the same question with nothing helpful? While I agree with you in principle that we are too eager to close, I'm not sure that I agree in this case. The guess at what the question meant to be may be correct, but it may not be, it really isn't clear if it is. It's a plausible guess, but it's attributing a question to the OP that may not be the OP's goal. The reason that posts are marked as On Hold rather than Closed for 7 days is to allow time for the question to be fixed. Closing a question as unclear doesn't prevent trying to clarify and re-open the question, it just prevents people from answering what may be the wrong question before the question is established. As for the problem with edits being too easily rejected and then hidden from other users, that isn't something that will really be able to be handled on this meta, it would have to be posted to meta.stackexchange.com and go through the process of getting broad acceptance as those features aren't customized from site to site. The question had so little to go on that any attribution of intended meaning was a guess. Maybe an educated guess, but still speculative. What would the outcome have been if the edit were approved, someone made a confident answer1, and then OP came back and said "That wasn't what I meant at all"? Probably OP would post a new question, with luck linking back to the previous one but more likely referencing it indirectly by complaining about how their previous question was treated. The result is that there's twice as much crap floating around. This is not an improvement. 1 The answer that was posted may be flawed, but at least it admitted that it was speculative. When the point starts in the middle and goes in ever expanding circles till it ends up on the outside of the lens area. It ends up looking like the inside of a seashell? The OP put the first part of the question in the title. The body of the question doesn't make any sense at all until you realize that the question starts in the title. What the OP means by "the point" is unclear. Is the OP talking about the focal point in a composition, or the composition guide that some cameras can superimpose on the image, or some actual thing depicted in an image, or something else? Downvoting the question is justified, IMO, because it is unclear, and it shows little research effort, and it's not very useful in its original form. Likewise, voting to close as unclear is also justified. If the question were closed and never edited and reopened, it wouldn't be a great loss to the site: it doesn't look like the OP spent more than about 90 seconds creating it, and it's basically unanswerable as written and very unlikely to help anyone else. As you've pointed out, there are other questions on the site that cover what the OP might be asking about. What is it called, the seashell shape used for composition? The edit here isn't much of an improvement. It does a poor job of fixing the title, and fixing the title without fixing the body makes it even harder to make sense of the body of the question because you can't see that the OP meant for the title to be part of the question. Furthermore, the edit makes a big assumption about what the OP is trying to ask. That assumption may or may not be correct. Rejecting this edit is the right thing to do. A better edit would change the title to be more meaningful, but also fix the body of the question, so that the body makes more sense on its own. A good edit would also avoid making assumptions about the OP's intent. The edited question would probably still be closed as unclear, but the OP could always edit to fix that problem if he/she actually cared enough to do so. Beyond all that, I disagree with your objection to linking to external content. Maybe the OP did see the first comment and leave, having gotten the answer he/she wanted. So what? We're not responsible for getting people to stay on this site for as long as possible, and there's no benefit to making the site self-contained. RE: Edits being closed by 2 votes...perhaps it should be that the number of required edits is not fixed to a (low) number but is instead set to a proportion of the active community. Photo.SE seems to have a very active community that could easily take care of a higher vote requirement. RE: How new users, especially ESL users, are treated while asking their first question...SE is essentially a log book of all of our collective knowledge. While I understand that junk entries into the book can grind the gears of some users, the book is meaningless without a community both adding and learning from it. New users should be guided in forming better questions, and a presumptive edit, as in this case, has far more "pro" to it than "con". If the edit was not what OP meant, then OP can edit it out. This was no further action, as they needed to edit the question anyway to clarify. The On Hold process itself seems to be the end of a good amount of user's journeys on this site. Maybe it's due to not immediately understanding what the process is. Maybe it's due to feeling unwelcome. Either way, I hesitate to close new posts for a few days, generally, to give OP time to use the site. See above. We need to slow down. Post some comments, give it a day or two. If OP seems to have left the community by not commenting/editing, then vote to close after a few days. If OP is engaging and editing the question - then mission accomplished. In this case, the presumptive edit is, indeed, what you want. If the question is going to take up space, it may as well be useful. And if OP isn't going to make it so, then maybe a suggested edit with a Vote to Change system should be incorporated. The community can improve it that way, even if it does become a dupe. Oh, I just saw that I was mentioned here. This might get me the most unpopular user on SE-award, but I am not here to keep people on SE - I am here to help them as good as I can. (Not that these things are mutually exclusive). 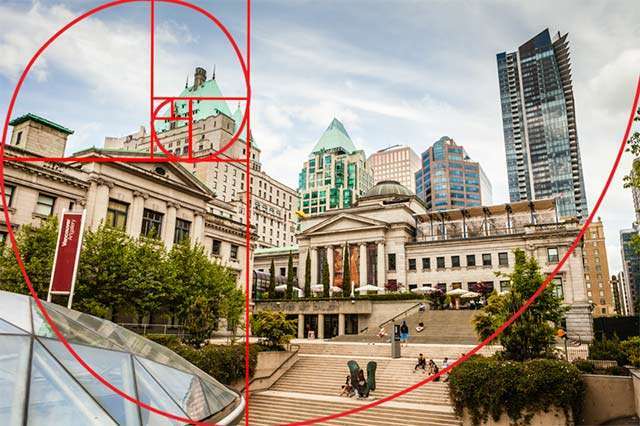 Actually, I did search photo.SE for "fibonacci" and "spiral" - however, I do not like to provide answers to questions the OP did not ask. Such would have happened if I would have immediately flagged it as duplicate of How to use the Fibonacci spiral to create better photos?. The answers there - especially yours - are great. But if the OP was on about something else (Maybe the aperture blades? Or perhaps a Fresnel lens, like Canon's DO lenses? ), it would just add noise to the answer-seeking. Mind you, it would have been enough noise to look at the picture I linked. The next thing I considered was that when searching "spiral" on photo.SE, the very question that you posted as related, is the first in line. Not sure if it was the first at that time, but it definitely was one of the top 3. So by following the 10 Commandments of photo.SE, they would have "looked around to see if their question has been asked before." If the OP would have said "why, yes, of course I mean the Fibonacci spiral", then I would again either link the existing question as related - or flag the discussed one as duplicate. In short: I just wanted to clarify the question. In retrospect, I should have left it at @Philip Kendall's comment. Although I am in no position to know about that (too little rep ;-) ), I would guess that this sounds like a good idea. As I said, we had no way of knowing what they meant. Although I too think the OP meant the Fibonacci spiral, they could just as well have meant to discuss Fresnel lenses or aperture blade design (lens). Answering a question that is unanswerable is...well, okay, I guess, but if the OP came back and said "oh, well, I was talking about that Fresnel stuff", then it is up to you to go back there and delete your answer - if you notice the edit. And if it was about Fibonacci, then it would be a duplicate (IMHO). The same goes for the edit: I would not be happy if someone edited one of my questions so that it asks something I already know about. (However, I would probably be around for discussion, anyways). It might just be me, but I did not find it helpful - it would have disguised a guess as a certainty. As to "only 2 users decide" - the downvotes have spoken, too (+1 / -6, as of now), so there were more than just those two moderators around. IMHO: Delete the not-so-helpful comments, keep the "(Possibly) related" and "Please be more specific" ones, delete the questions that provide answers to things that aren't specified. Allow the suggested edit. It seems highly likely the suggested edit was the intent of the original question. There just aren't any other good logical possibilities. We edit questions all of the time to clarify what we think the OP meant without waiting on confirmation from the OP. Closed the clarified question as a duplicate to this question. If the edit is not the intent of the OP, then the OP is free to let us know. If the OP doesn't care about the question enough to return and look to see if there are any answers, etc., and in so doing discover the request for clarification, at least the question can be useful to someone else who finds it as a result of googling "spiral thingy in photo" or something similar. When a question is closed as a duplicate, the visitor has an easy path via the link to other resources within the site to see if the other question answers what they came looking for. When closed for being unclear, too broad, etc. there is no suggestion of where else on the site the visitor may find an answer. Putting multiple links to external sources such as Wikipedia in comments is not helpful with regard to growing the site and the number of users. This is particularly the case when good information regarding the subject already exists within the site! If we point a visitor/new user to resources within the site, it might actually help them to see how the site is supposed to work. What to do about an old accepted, upvoted but plainly incorrect answer? What's the purpose of answering a question? Are moderators using different standards with new users vs. old users who have been on the site a lot? How should we handle the “what (Instagram) filter is makes this photo” type questions? Shouldn't we try to point new users in the right direction *before* mercilessly criticizing their question?